Gucci Mane has triumphed over significant adversity within the past five years. But on Evil Genius, his raps about his past are piled with repetitive tropes and uncreative imagery. For every example of beat experimentation you could point to here, it's undermined by a lyric he could have spat in 2006. Even with all the underwhelming guest performances and filler, Evil Genius demonstrates that Gucci Mane hasn’t completely lost it. Despite what the title says, there’s a disappointing lack of musical alchemy going on here. It’s not enough to just exist in the trap space in 2018, there needs to be some kind of innovation, or at least an attempt to keep up with the advancements made. Gucci delivers infectious cuts that leave you wanting more, which is saying something for such a workaholic artist. It is a shame that this is an album that you can skip big chunks of and not really miss much. The only thing that would make you dislike Evil Genius is a dislike of the artist behind it. For a rapper known for his recklessness, he plays it uncharacteristically safe. On his latest project, Gucci Mane may not break much new ground, but he’s reached the point in his career where he doesn’t really need to, because he already has. 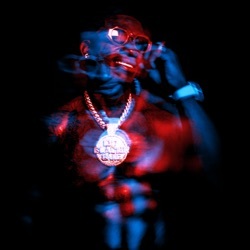 Overall, Gucci Mane’s Evil Genius represents his 2018 grind mindset and pays a tribute to some of the biggest names in the game alongside Guwop himself. With Evil Genius, he continues his run, gifting us with eighteen tracks full of nothing but bangers! He still sounds great, but almost half of these cuts sound either unfinished or very plain. The Atlanta trap legend completes his transformation into shimmering superstar with this taut and breathtakingly honest record. .... Gucci promote a song on his instagram page . “now she said she miss everywhere I go now she trying to diss me “ .... this album Trashhhh .